It’s no secret that derby is one of the fastest growing sports in the world—and with the induction of Junior Derby, skater numbers are up, up, up across all age groups. With the overall accessibility of our sport, what prevents folks from jumping right in? As we’ve realized over the last few years, the initial investment of gear can be a pretty big barrier for some—and we decided to do something about it. Decent quality, effective protective gear is so important to skater safety, but it comes at a cost. One that can be prohibitive for some, especially when you’re just beginning to learn the sport. The first is geared toward our junior skaters. We started with a simple question, “What would it cost to let kids play for free?” This question led us to a simple solution for determining who can receive a youth scholarship: any youth skaters who qualifies for a free lunch at school has access to financial aid through Rose City Rollers. Once a youth skater has met that criteria, we cover the costs of everything associated with being a skater: insurance, dues, uniforms, and team-related travel expenses. As demand for our youth program has grown, we’ve also had to implement attendance requirements so that finite league resources go to the skaters who are as committed to the sport as we are to them. Our junior skater scholarship program is funded by grants that we apply for as well as donations. For adult skaters, we have the Rob Lobster Memorial Scholarship Program. Robin “Rob Lobster” Ludwig was the CEO of Voodoo Doughnut and a passionate supporter of the Rose City Rollers; he will always occupy a unique place in our league’s history. To apply, skaters come from household with a gross income (before taxes) at or below 60% of the statewide median income for Oregon. We also ask applicants, “Which of our core values do you most embody?” and “How are you going to give back to the community?” The program covers half of their monthly dues and they can use gear through our Rent N Roll gear for free. Rent ‘n’ Roll, Rose City’s gear lending library. We see gear a perhaps the single largest financial barrier to entry for new skaters; a new skater might be looking at spending $300 on their first set of gear. As a league, we wanted to put products in there that we would skate on…and that also allows for some advancement. Rent N Roll allows skaters to become familiar with gear before they buy it; we’d rather see them buy quality equipment when they can afford it. Rent N Roll was funded by a grant from the Nike Community Impact Fund and stocked with gear from Riedell, Radar Wheels, S1 Helmet Co., Triple Eight protective gear, 187 Killer Pads, and SISU Sports Mouthguards. The cage the gear is stored in was built by Griffin Construction. The program is currently funded by grants from The Oregon Community Foundation and the Multnomah Athletic Foundation. We started with a vague idea of what we wanted—support 30 people ranging in age from 7 to 18—and then worked with Riedell to determine what the size skates would result in the best coverage. 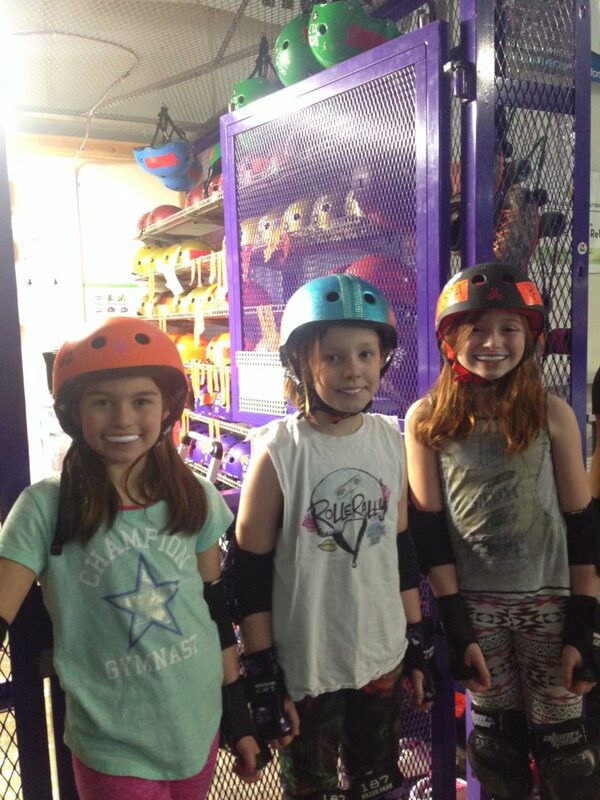 Our Rent N Roll program has grown and currently has 100+ sets of gear for skaters ages 5 and up. Rent N Roll is truly a lending library: the gear doesn’t leave The Hangar. Any skater can rent gear for $25 a month. Because we are committed to providing our members with quality gear, we now do mostly fill in buys to replace older gear. Junior skaters in front of “The Cage”—where our gear lending library is housed. Processes are going to evolve…but start with a process.  “Having a league’s processes standardized is something that I would absolutely recommend from day one,” says Rocket Mean, Rose City Rollers’ executive director. Application criteria and processes should be clear and consistently applied. They will evolve as a league grows, but it is easier to revise existing processes than overlay rules on an established ad hoc program. Capture documentation from day one. “Capturing the documentation was difficult until we started using Survey Monkey for our application process,” according to Executive Director, Rocket Mean. Simplicity is critical as that getting people to apply is often a challenge if they think there are a lot of bureaucratic hoops to jump through. The documentation is also critical in terms of explaining to donors, patrons, and sponsors what sort of impact their support has on the league or explaining how you intend to use their support to expand or improve your programs. Lending libraries create opportunities for volunteers… For as much as a lending library is about lowering the financial barrier to entry for new skaters, it also creates opportunities for skaters to volunteer by either working library when there is likely to be high demand—junior practices or, at Rose City, during Derby 101 practices—or for skaters who enjoying maintaining and gear. …and new revenue streams. A lending library also allows us to make the sport accessible to organizations and groups—think companies, families, or groups of friends—who want to see what it is like to play the sport casually. For the people we provide this service to, they leave The Hangar with a unique experience and insight into how athletic our people are. For us, we receive a donation…and maybe convert some people into new fans, members, or sponsors. Win, win. Make sure you can explain to yourself, your members, donors, and other supporters why lowering the financial barrier of entry to derby is important to the community in which you all live. Also think about how your vision relates to the donor (e.g., helmets and concussion awareness). Start off small…but have a vision for growth in mind. Keep an eye out for high-quality used gear in good condition, but also look for poor sellers and models that are about to go out of production (you are not buying for yourself; you are buying for people who are curious about the sport and might be your future members). Pay it forward. Once you get to a point where you replace gear on a regular basis, you can gift your outgoing gear to members that you know are ready to move to a set of their own gear…and it’ll be gear that they are familiar with. If you’re interested in supporting our accessibility programs, visit our Volunteer and Donate pages. Have more questions? Feel free to hit us up on Facebook or Twitter.